Since then I read a bunch of books and articles to develop an understanding of how to get faster. None of it worked. Not heart rate training, not increasing mileage, not the Sunday running club. When I started working with Shane, I told him my goal was to qualify for the Boston Marathon. He told me, “Well son, if you want to run fast, you’ve got to run fast.” As my coach, he worked with me to develop a training program based on pace and prepared my weekly schedule. We talked every Sunday to review the previous week’s progress and the coming week’s goals. Fewer than 18 months later, I’ve taken forty minutes off of that 4:03 marathon. 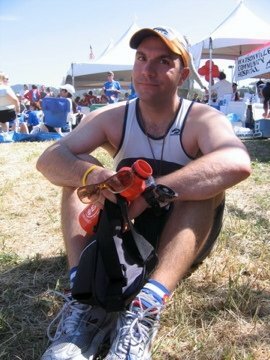 I finished two marathons in 2009 at 3:23. I have not yet qualified for Boston (which would be 3:10.59) but I am determined to get there. I can’t thank Shane enough for his guidance and look forward to working with him to get my marathon under three hours.